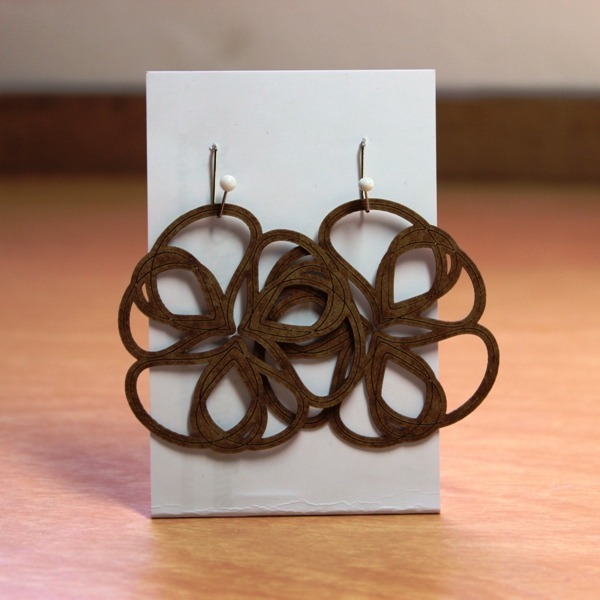 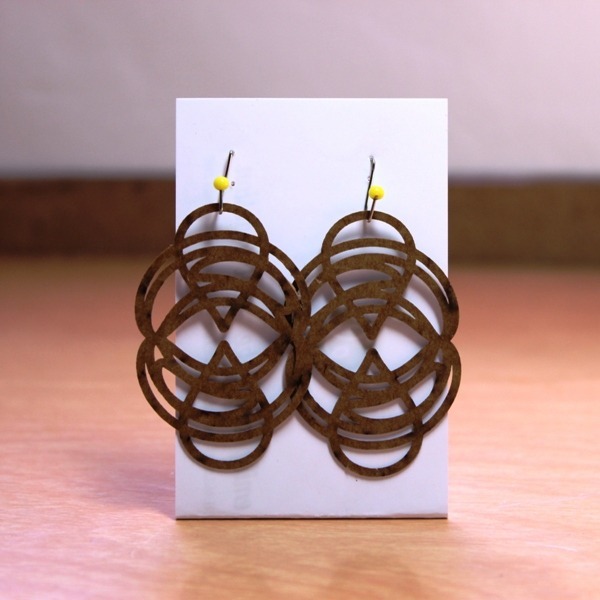 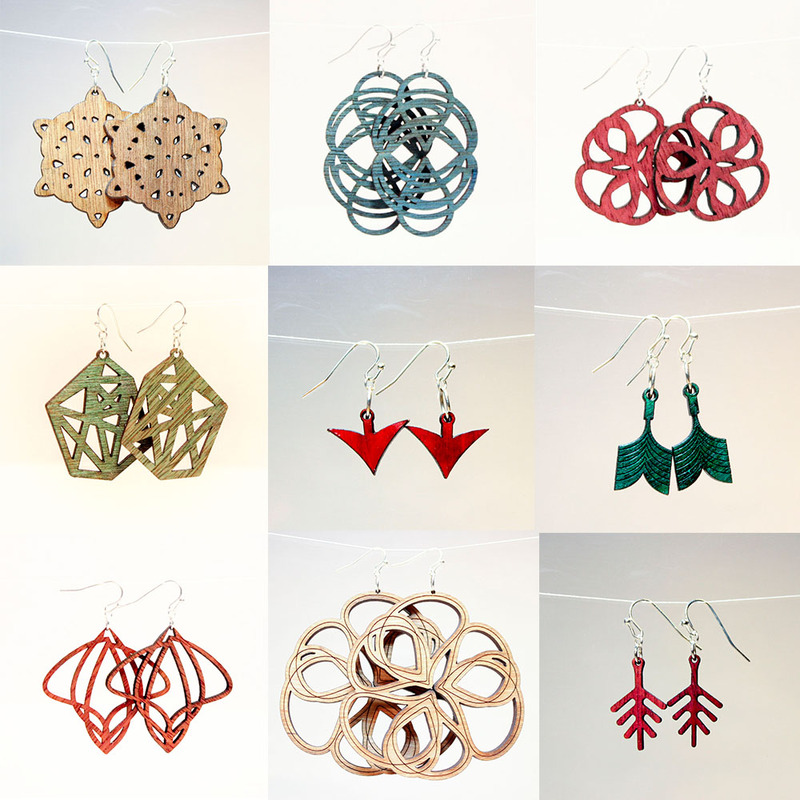 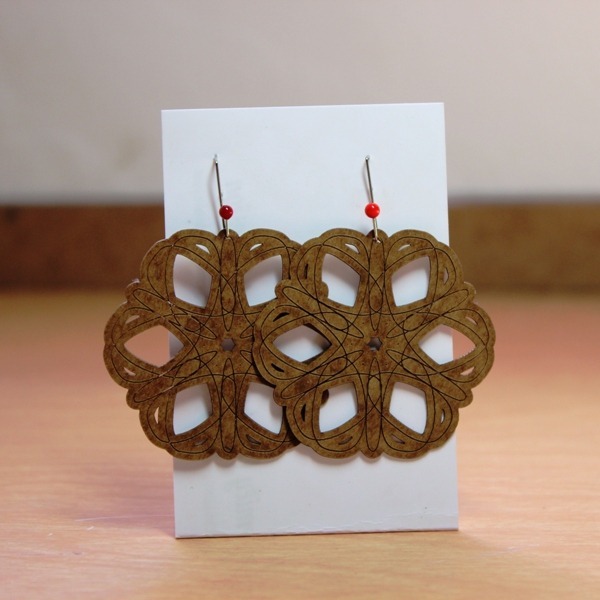 These laser-cut earring prototypes are made of tag board and stemmed from the iterations and more iterations I made with Adobe Illustrator. 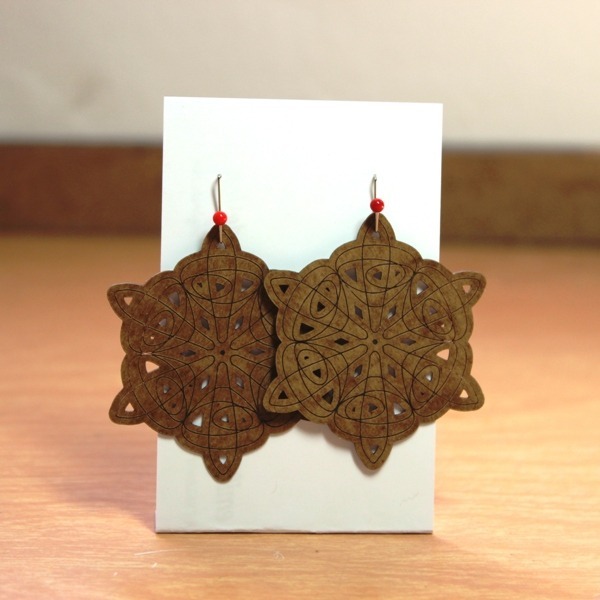 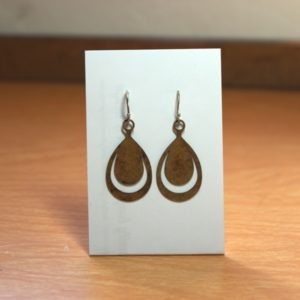 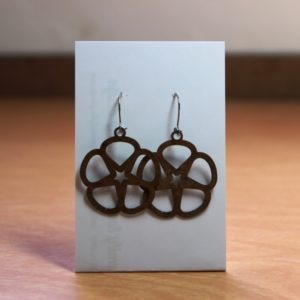 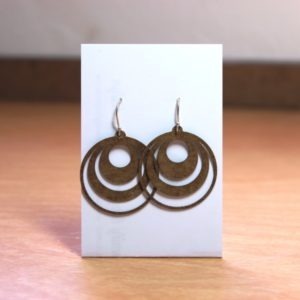 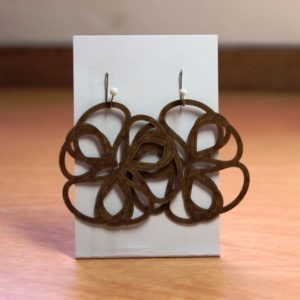 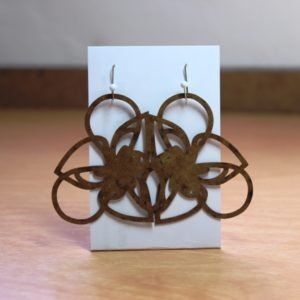 Eventually I’d like to cut them from wood: they’re nice and lightweight, made of recycled materials, and a change from the usual danglies or studs. 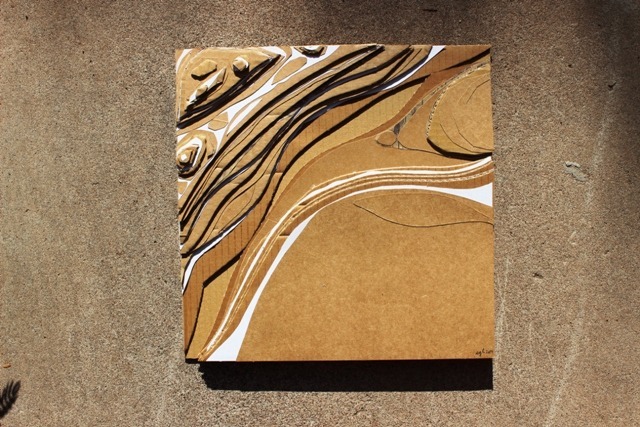 All are shown on a 2×3.25 card for scale.